The Dirichlet problem is considered on the junction of thin quantum waveguides (of thickness h ≪ 1) in the shape of an infinite two-dimensional ladder. Passage to the limit as h → +0 is discussed. 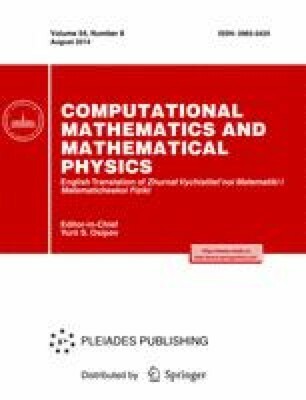 It is shown that the asymptotically correct transmission conditions at nodes of the corresponding one-dimensional quantum graph are Dirichlet conditions rather than the conventional Kirchhoff transmission conditions. The result is obtained by analyzing bounded solutions of a problem in the T-shaped waveguide that the boundary layer phenomenon. Original Russian Text © S.A. Nazarov, 2014, published in Zhurnal Vychislitel’noi Matematiki i Matematicheskoi Fiziki, 2014, Vol. 54, No. 8, pp. 1299–1318.